What senses do you prefer to use as you learn? 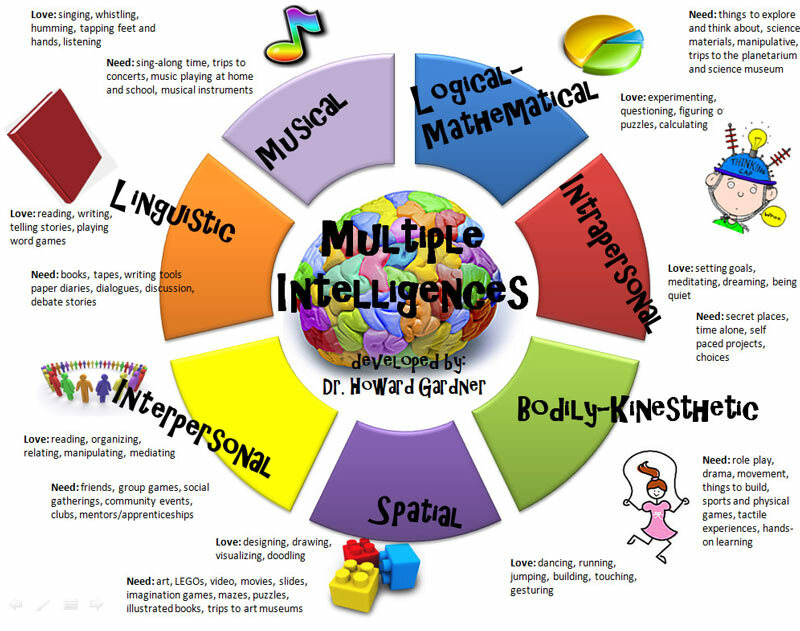 Which are your strongest intelligences? Research by Dr Howard Gardner at Harvard University indicates that we have not a single fixed IQ, but several different forms of intelligence. They can all be developed, but it makes sense to use your strongest type of intelligence while you learn. What are the main types of intelligence? Traditionally, academic subjects have been taught in ways that largely emphasise two of these intelligences – Linguistic and Logical Mathematical – through lectures and logically formatted books and courses. So students who are naturally strong in these forms of intelligence will perform comparatively well at school. Since Mathematical and Linguistic Intelligences are also the basis for IQ tests, IQ tests have become reasonably good predictors of school success – because that's the way children will be taught! It is a self-fulfilling prophecy – and indeed a self-perpetuating system as teachers will also have done well in the same school system. "Multiple intelligence education is multiple chance learning." It is only when we develop our complete range of intelligences that we are able to experience fully the richness of life's opportunities. And it's only when people learn the techniques that best match their strongest intelligences that they have an opportunity to achieve their full potential. Our courses take the latest concepts on intelligence and research on the brain and put them into practice.